Kale may be one of the trendiest foods of the past decade, but just because something’s trendy doesn’t mean it’s not without its flaws. (For proof, check out the vast majority of music, movies, fashion and the entire Kardashian family.) With that in mind, a couple of scientists at Cornell University have set out to see exactly what people don’t like about kale and then – hopefully – try to fix it. According to NPR’s The Salt, after years of working with kale, horticulture professor Philip Griffiths of the Cornell University College of Agriculture and Life Science recently teamed up with graduate student Hannah Swegarden to talk to people about the leafy green. Back in September, the researchers recruited a 14-person focus group that was given six different types of kale to eat and analyze for two weeks before coming together for a three-hour discussion. “By the time they came in, they were really knowledgeable,” Swegarden told NPR. 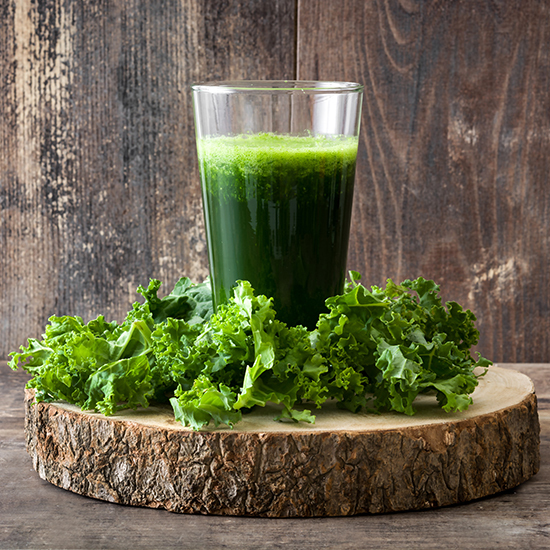 Though kale may be a superfood, the focus group pointed out (unsurprisingly) that the leaves are fibrous and bitter. The Cornell team is hoping to take the information gleaned from this group and create a another survey that will ask a larger number of consumers how kale can be improved – meaning if you have strong feelings about kale, keep your eyes peeled for advertisements from Cornell looking to recruit people to discuss vegetables. From there, Team Kale is hoping to find ways to breed better kale for the consumer market, though they admit it won’t be easy. Things like making the leaves softer is “difficult to do that because that's changing the plant a lot,” said Swegarden. “How far can you push a consumer's concept of what kale is, before it's not kale anymore?” she asked at one point. Even if they are able to make adjustments, the scientists suggest that new kale varieties could take at least eight years to reach grocery stores. But hey, at least they’re giving people a chance to vent.